“Bring your guitar, bring your guitar, sing me the songs I love”, says the song. English Romantic Songs and Ballads of the early 19th century, for voice with original guitar accompaniments from the period, edited and with an introduction by Brian Jeffery, is a selection of 17 splendid songs in English from the early 19th century, with guitar accompaniments from the period. Re-engraved (not facsimile). The book is particularly recommended for guitarists (even of moderate accomplishments) who wish to work with singers. Superb repertory for voice and guitar. 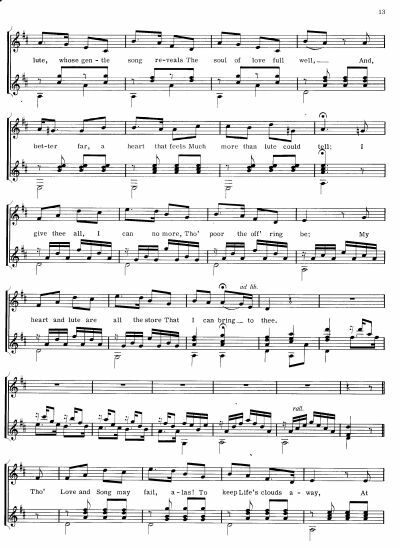 Composers include Thomas Moore, Balfe, Sir Henry Bishop; arrangers include Sperati, Sola, Eulenstein. Includes “Cherry Ripe” and “Home, sweet home”. With a preface and notes by Brian Jeffery. A note (SEPTEMBER 2007) from a user of the book, who writes: ‘I have often played many of them to private audiences with wonderful results’. 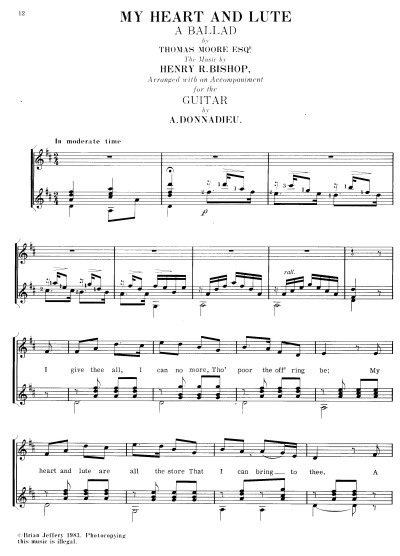 “Seventeen of the most delightful songs imaginable … The guitar accompaniments are truly accessible to almost anyone with a year or two of study, and yet could be very useful to university level students who need experience in accompaniment” (Soundboard, Summer 2001). 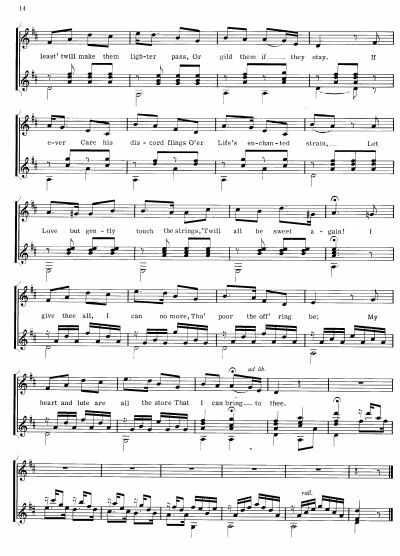 These songs were recorded, from this book, by Ann Murray and Simon Wynberg on a record which received highly enthusiastic reviews. 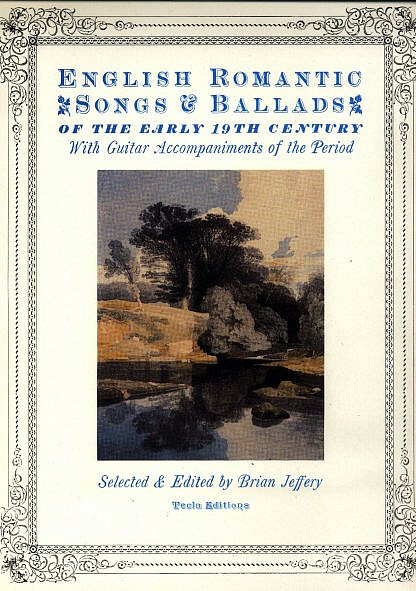 The contents of English Romantic Songs and Ballads are as follows. a’, b’, c’, and so on up to g’: this means from the a which is on the second space of the treble stave, up to the g which is on the space just above the treble stave. a”, b”, c”, and so on: this means from the a which is on the line immediately above the treble stave, upwards. Read the complete Introduction to this book.